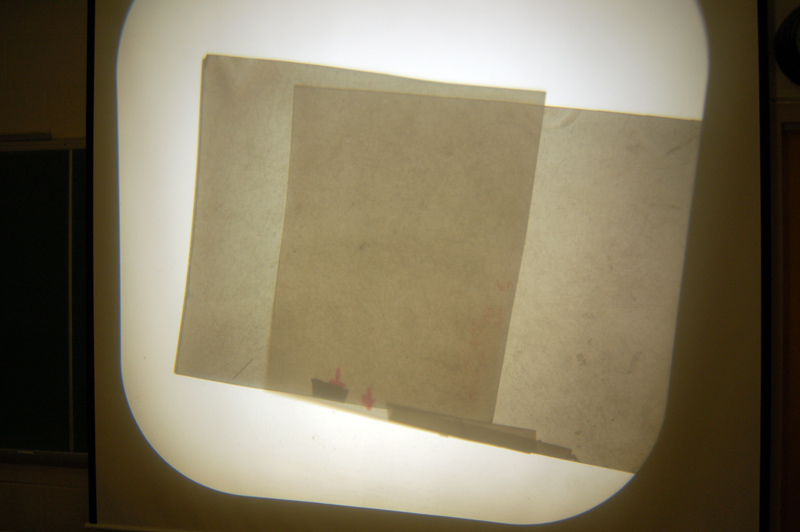 Description: This demonstration shows students what happens to the light intensity when one polaroid sheet is put on the overhead. 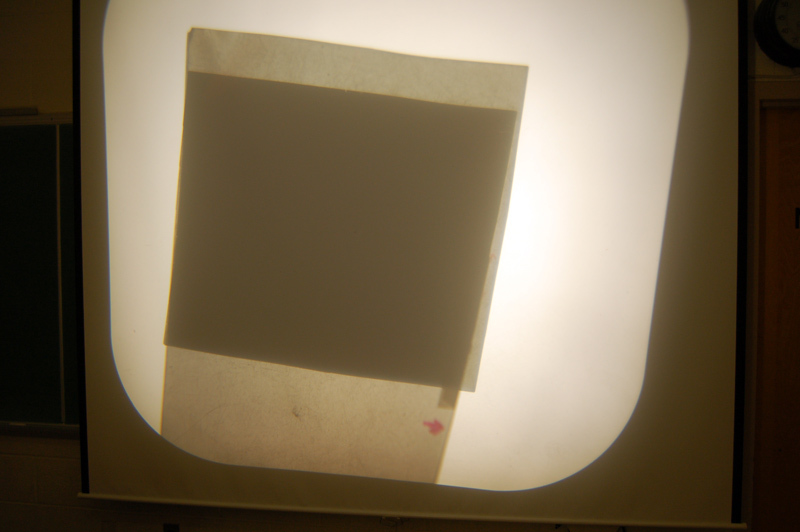 It also shows them what happens when another sheet is placed on top of the first. Depending on the orientation with respect to the first, the intensity will vary. Place one polarizer on the overhead. Place the other on the overhead next to it. Note that they both block a little light (about equal). 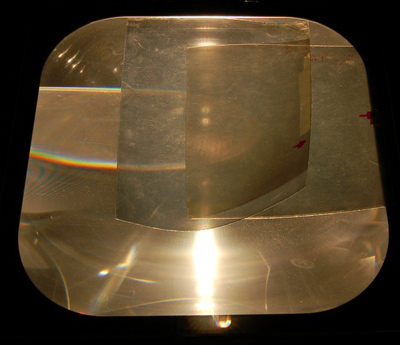 Place one polarizer on top of the other so that the maximum amount of light passes through. Note the overlapping spot is not much darker. Rotate one polarizer 90�. Note that almost no light passes through. 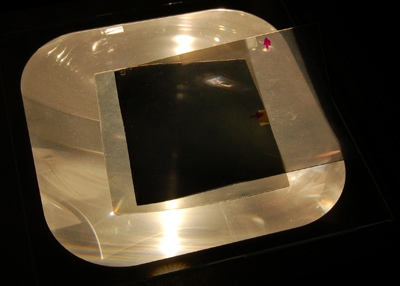 A common misconception among students is that square polaroid sheets have their axis of polarization eaither vertical or horizontal. Having two 45� polaroid squares can trip up most students when you flip one over.